Today is one of my favorite days of the year. Well...it takes a week or so for it to look this blue, but at least they are coming to open the pool today. I'm hoping this means that warm weather is on it's way. It's been a particularly cold spring with only a few scattered "spring-like" days so far. We always open it this time of the year to have it ready for Mother's Day (even if it's too cold to swim it makes the yard look much prettier without the cover). Who else is ready for the warmer weather? Happy Monday! I was away all weekend with my daughter at a tournament in Syracuse, NY. When I came home I found a package from something I had ordered online. Don't you love when you come home to find a package? Once I emptied the box of it's contents, which were pretty fabulous in and of itself, I found myself loving the box it had come in. Well, let's just say that no box is safe from me in this house. Everyone in my home is aware that what they may consider garbage is a project idea to me. The first thing that struck me about the box was it's pink interior. I could see this box had serious possibilities. I took that awesome aqua zebra print contact paper and covered the outside of the box with it. I kept the interior pink since it was finished already. The top looked a little plain, so I went to my Silhouette machine and printed out on cardstock my daughter's monogram (since her room is aqua and pink this box should be used in her room for her many treasures). 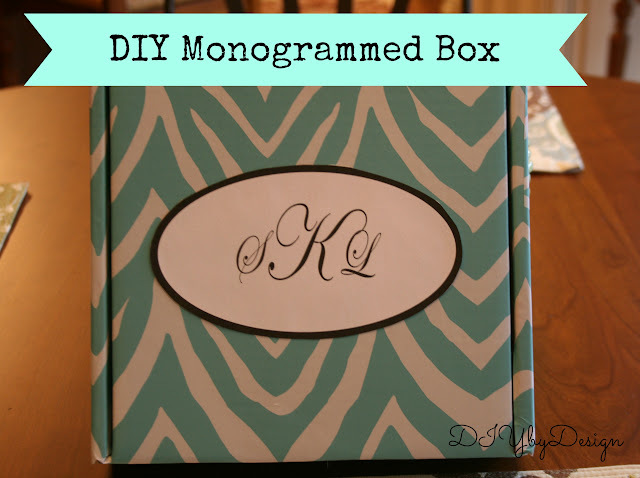 I glued the monogram to the top of the box and Voila! 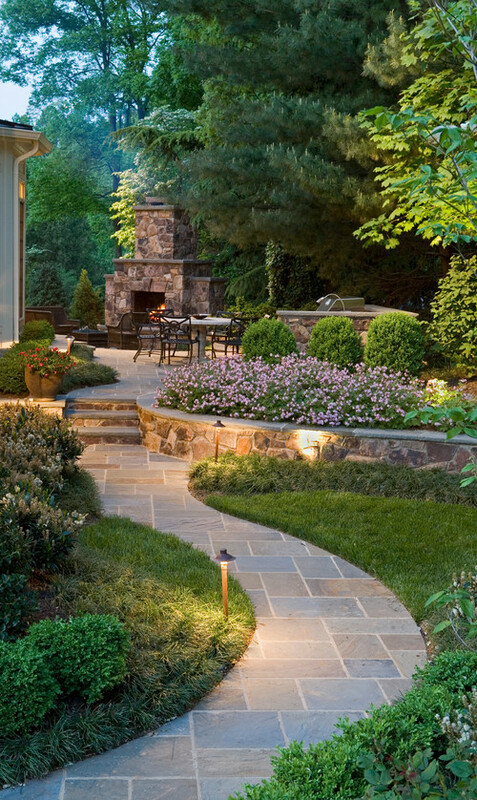 It's getting warmer which means spending more time outdoors. 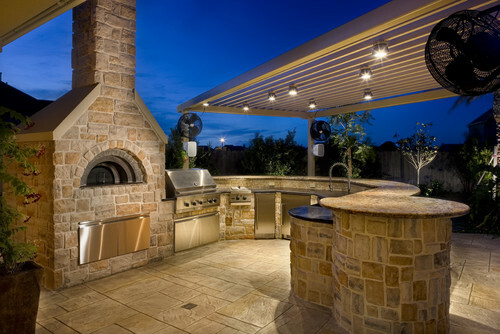 Two years ago we renovated our backyard and created an entire outdoor living space. It was one of the best things we have ever done. 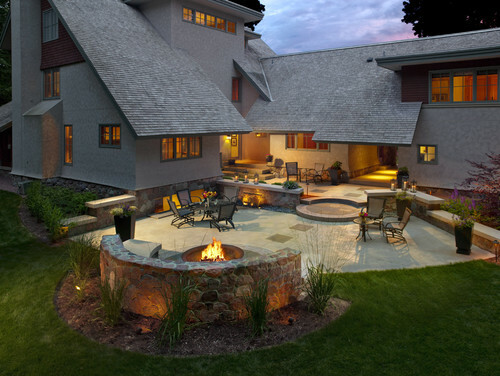 It's a wonderful place to entertain and hang out with family and friends. 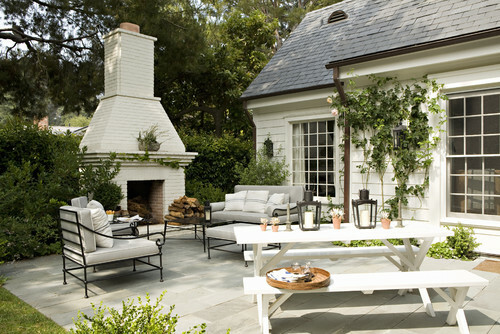 The outdoors can be treated as an entire new space to decorate. I'd like to welcome Alice Flynn who has written a post especially for DIYbyDesign. Nowadays, nearly everyone seems to want a modern, stylish, minimalistic bathroom that is usually sleek and shiny and only has the necessary fittings such as a shower, sink and toilet. But this isn’t to everyone’s taste. Many people want their bathroom to suit their personality and not just jump on the bandwagon. And for a good deal of people this means creating their own unique retro style bathroom. If you’re new to it though, here are some tips on creating your own retro bathroom. Don’t be afraid of colour. Remember those peach and avocado coloured bathroom suites your grandparents had? That’s what you want to be looking for. If this seems a little bit too tacky for you, perhaps just use the colour on the walls. Find a 60s style wallpaper in bright colours and make a feature wall. Try tiling the floor in a checkerboard pattern with a brightly coloured tile alternating with a white one. 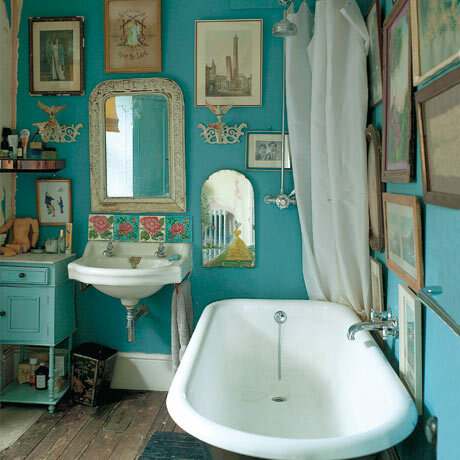 Just because your bathroom might look vintage, it doesn’t mean it actually has to be so. Make sure that you buy a bathroom suite that has all the modern features that you need but has suggestions of the style you’re looking for. 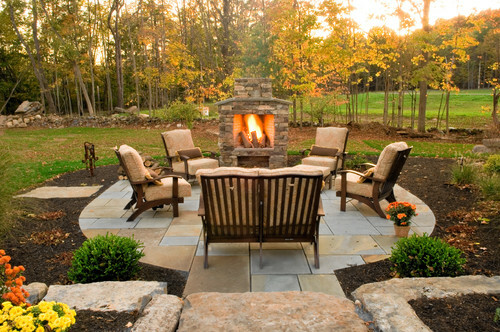 By doing this, you won’t end up paying loads for repairs, but you’ll still have the look you need. You can add accessories with a vintage feel such as Dornbracht taps or dainty soap dishes to the rest of the bathroom. It might sound strange, but adding wooden elements to your bathroom can give that retro look without being dated. Perhaps add a dark wooden panel around the outside of the bath for a 1970s vibe. ‘Shabby chic’ is a style that’s very fashionable at the moment in bathrooms. 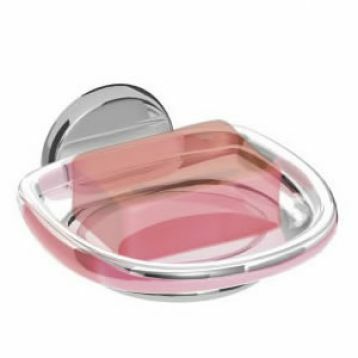 Pastel colours are perfect for this, along with ornaments, pictures and signs that have that definitive shabby look. Try painting a bathroom cabinet in a pale cream colour, then sanding away the paint on the edges to make it look a little worn. Make sure you don’t overdo though, because this will just look messy! To keep it under control, match the colours together, such as having towels in different shades of blue. Thank you Alice for your wonderful article. Before Meets After shared her gorgeous master bedroom update. I love the tray ceiling! 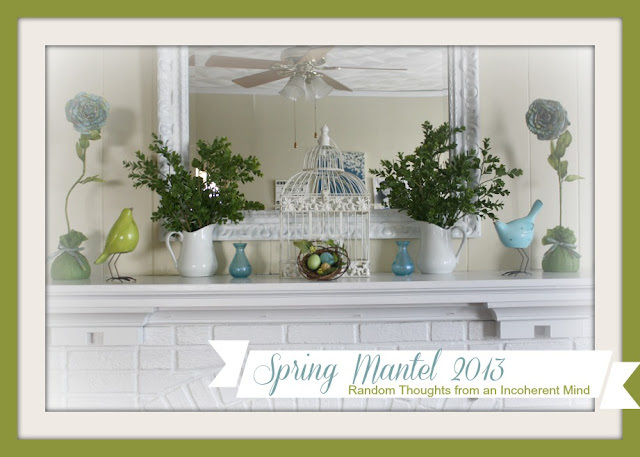 My friend Gina from Random Thoughts from an Incoherent Mind shared her beautiful spring mantel. I love the colors and the symmetry. Smart Girl Style changed up her entry by transforming her entry table with some shiny red paint. 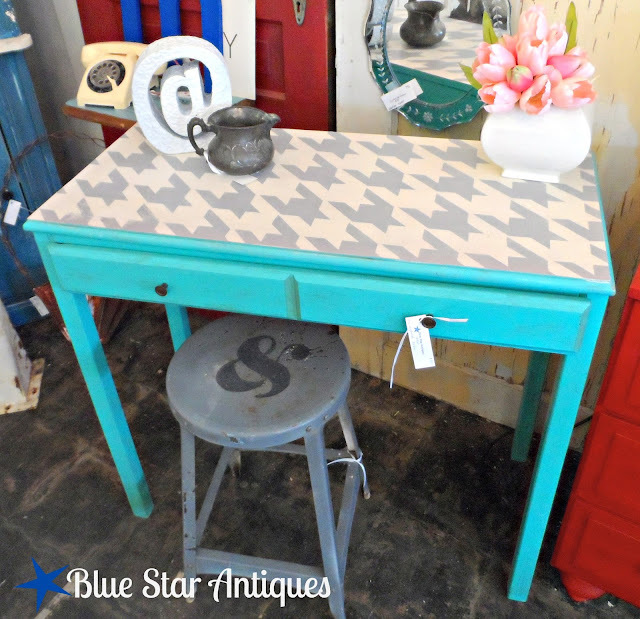 Blue Star Antiques transformed this table creating a houndstooth pattern on the top. So cool! 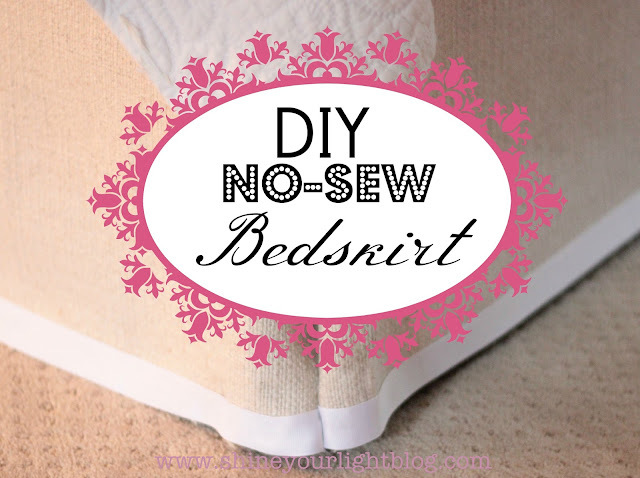 For all of you non-sewers, Shine Your Light, shared a great tutorial on how to make a no-sew bedskirt. One Day at a Time shared a tutorial on how to create this DIY rope vase. You have to check out the step by step and her inspiration. 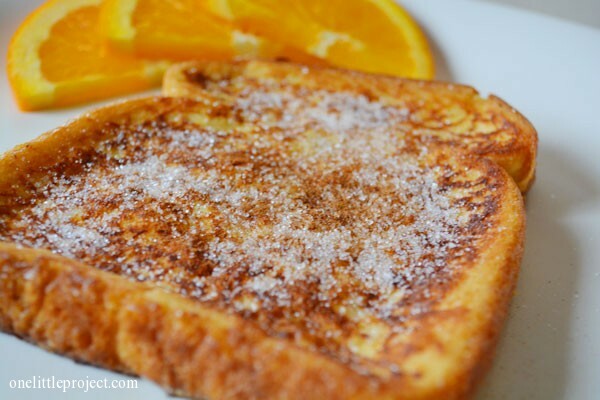 One Little Project shared her recipe for making perfect french toast every time. No Place Like Home shared her recipe for violet herb cream cheese. It looks both yummy and beautiful!